(February 23, 2015) America’s Escape Game, Central Florida’s most fun, exciting and mentally challenging escape game is ramping up for its’ grand opening in Orlando this March and will begin hiring a full staff this month. The most immediate need to fill is the position of “escape artist” otherwise known as the tour guide that assists guests from a control room while they (the guests) are locked inside an escape game room. In addition to hiring Escape Artists, America’s Escape Game has already hired and put to work over a dozen professional writers, designers, marketing professionals, web developers, and scenic design specialists who are currently working behind the scenes to craft, sculpt, create and build the first 3 world class themed rooms which will initially make up the attraction. The space which America’s Escape Game occupies on International Drive currently leaves room for up to 5 more themed rooms which will open in the months following the grand opening. America’s Escape Game will also employ and utilize a host of actors, voice over artists and other niche positions that will help to make each room and escape attempt unique and truly immersive and entertaining. To view and apply to become an “Escape Artist” with America’s Escape Game please visit www.americasescapegame.com/employment or visit America’s Escape Game’s Facebook page to learn more about in person interview opportunities. 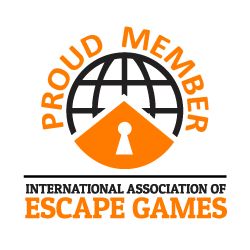 America’s Escape Game is located at 8723 International Drive, Suite 115 in the heart of the tourist corridor in Orlando, Florida and is part of the growing global phenomenon of live, interactive escape games. This is the first location for America’s Escape game with other locations already planned across the United States and Canada.